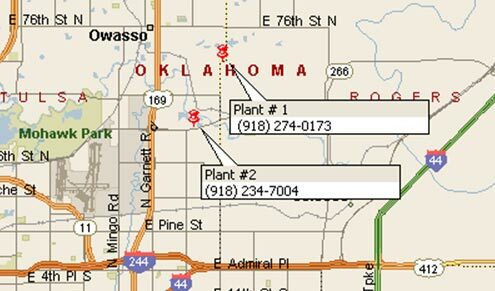 Tulsa asphalt operates two asphalt manufacturing facilities in Tulsa metro area. We produce a wide range of mixes for the road construction industry. Tulsa Asphalt is proud to reintroduce EZ STREET cold asphalt to the Oklahoma market. EZ STREET is a polymer-modified cold asphalt guaranteed to permanently repair potholes, utility cuts, overlays, and edge repairs in asphalt or concrete. EZ STREET cold asphalt is available everyday in bulk and 50# bags and will work in any weather. For more information visit www.ezstreetasphalt.com.